I haven’t seen such excitement about a signing in my lifetime as a West Ham fan. Sure, Felipe Anderson’s price tag drummed up some excitement and the stats behind the arrival of Dimitri Payet had many fans dreaming of what could come – but the signing of Javier Hernandez inspired euphoria for many West Ham fans. Here was the answer to a problem which had dogged this team for decades – a natural finisher with a clinical, predatory instinct. A player with proven pedigree in the Premier League, who had demonstrated his ability to score goals consistently at the top level. An iconic player, whose reputation preceded him, had West Ham fans singing his name before he had even kicked a ball in anger. Contrast that enthusiasm and belief with the attitude a lot of fans now have towards the Mexican, and it is hard to believe we are talking about the same player. Many fans now regularly argue that he should be sold by the club, he has lost his edge, he has lost the attributes which made him a brilliant striker etc. What has caused this drastic change in opinion? And is it unfair or a realistic assessment of the decline of the player? It’s important to appreciate what kind of player we were buying. At Manchester United, Bayer Leverkusen and (to a lesser extent) Real Madrid, Hernandez had established himself as one of the finest penalty-area strikers. Tap-ins were a trademark, with the significant majority of his goals throughout his career arriving from within the 18 yard box. At Man Utd, we saw his ability to pull a finish out of unlikely situations. He was perhaps under-appreciated, but at Leverkusen he demonstrated that he could be the striker to lead the line. What he lacked in strength or raw pace, he made up for with the cleverness of his runs and his positioning, and the ruthlessness he showed when presented with an opportunity to score. He was, to many, the perfect solution for a team who had consistently struggled to score goals and used strikers who are as likely to miss a clear-cut opportunity as they are to slam it home. Under Bilic, the early signs were promising. Despite some poor team performances and early defeats, Hernandez scored goals against Southampton and Spurs which many took as vindication for their early faith in the striker. However, a loss of form, lack of fitness and a managerial change saw Hernandez lose his place in the team and only five more league goals would follow. The revelation of Arnautovic as a top goalscorer also significantly affected his playing time and, when he did play, a worrying trend took shape. Often, with Hernandez as a lone striker we looked isolated and lacked an out ball to relieve pressure. With Hernandez playing alongside another striker, we looked light in midfield and were too easily attacked by other teams. It seemed certain that Hernandez would leave during the summer. 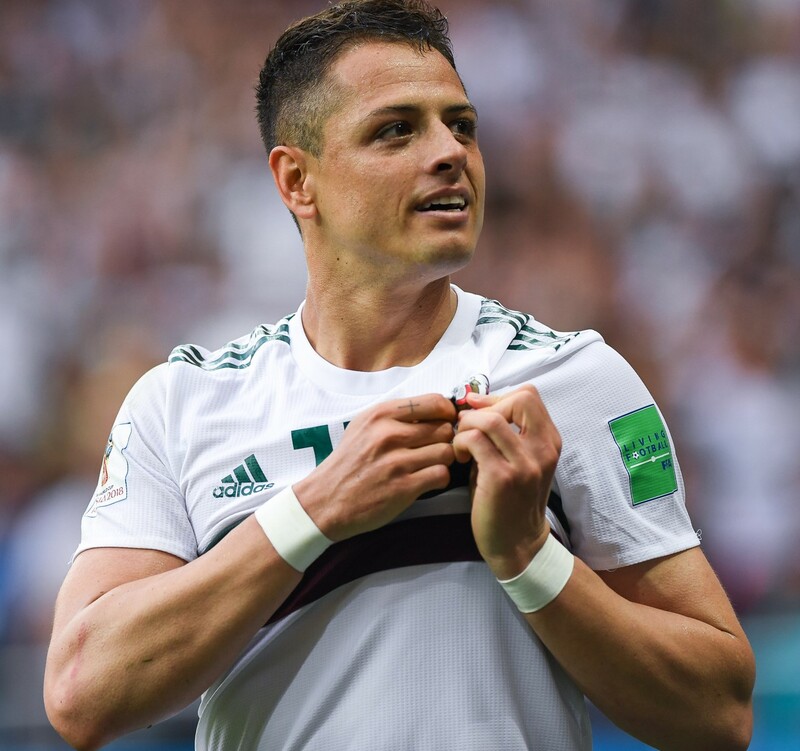 Frustratingly, we saw exactly what he had hoped he’d deliver for us at the World Cup, where he looked like a different player and thrived as the focal point of an exciting Mexico team. Despite his disappointing first season, many West Ham fans rejoiced when Pellegrini was appointed and it seemed Hernandez was set to stay. Unfortunately, Pellegrini’s appointment did not disturb the trend. Although he seemed eager to play Hernandez and Arnautovic together, starting the pair together against Bournemouth as a clear statement of intent, we looked vulnerable without a fifth man in midfield. It is no coincidence that reverting back to a five-man midfield has seen us achieve more consistent performances and better results. So what’s going wrong? Hernandez is at a club where the fans were over the moon to see him arrive, and the manager evidently holds him in high regard and has convinced him to stay. Surely there’s a recipe for success? Unfortunately, in seeking to create an environment where Hernandez can thrive, we are missing a crucial ingredient: the right players. What Hernandez lacks in raw pace or power, he makes up for with his guile and skill. He is at his most effective when he is within the 18 yard box, and yet for those opportunities to arise he needs to be playing in front of a team who are capable of dominating possession in their opponents half for large periods of the game. He will not be making lung-busting runs from the halfway line or pulling down a hoofed clearance with his back to goal. While I believe we have had the technical players with the vision to spot the runs Hernandez makes – such as Anderson, Lanzini or Arnautovic – we have not had the platform to afford those players time and space on the ball. Those players do not regularly have the ball in the opposition’s half with time to pick a pass. They cannot regularly take up those positions because we do not retain possession effectively enough, and we lack the consistent foundation behind them to mop up if there are any mistakes. Put simply: Hernandez does not suit West Ham’s current crop of players. Or at least, he doesn’t suit the style of play they have shown they are able to produce over the past two seasons. Pellegrini’s vision will eventually be a good fit for a player with Hernandez’s attributes, but it is a working progress and we’re not even close to consistently producing it. In the meantime, he simply does not suit the lone striker role. Certainly, he could not replicate what Arnautovic is offering the team in that position, and therefore it is not even worth discussing whether he could replace the Austrian. There is, however, a solution. Aside from his goalscoring prowess, Hernandez demonstrates an intelligence and technical ability which few players in our team possess. When Arnautovic and Hernandez are on the same pitch, they inevitably create chances for each other and there are always flickering signs of a telepathic understanding between the two of them. Hernandez could be afforded a deeper role in the team. He would have to work significantly harder, in order to compensate for losing an Obiang or a Noble in the midfield. However, he could be afforded the freedom to roam forward when we do have comfortable possession – such as in the home game against Burnley. In those situations, Arnautovic would have to drop deeper to allow him to do so, but that is something which he already does frequently. Whether Hernandez would be willing to do the leg-work required in that position may go unanswered. Perhaps Pellegrini’s style will be implemented effectively sooner rather than later, and it will suit the Mexican. If neither of those things happen, I cannot see him staying for much longer. It would be desperately disappointing to see a player with his talent and pedigree leave the club.